What are the best ways to regain your pre-pregnancy fitness? The answer: NOBODY KNOWS! But there are some targeted mum and baby sessions which I found particularly helpful. At only a couple of months post-partum, myself and the other mums from our NCT group signed up to a lovely lady’s Zen Fitness (Yoga) class local to us in Hythe, Kent. Using the baby’s weight as your weight, the class gets tougher as the weeks go by, and especially if you’ve missed a week, the next one is so much harder! I remember thinking that “oh, she’s only put on a couple of pounds since last time, it won’t make that much difference”… Well, yes. Yes it did. The best part about Suzanna’s group was that she was so understanding about needing to take a break to feed baby, or even to stop baby rolling onto other babies… I felt really welcome at her groups, and she was fantastic at making sure everyone could handle the workouts if you were a beginner or had been a regular! So, that’s one way of really feeling that exercise, releasing endorphins and starting to recover the wellbeing of your body and mind. Another way is with buggyfit (or similar) groups, using pushchairs to do more cardio exercises, usually outdoors. These groups are also fabulous. Unfortunately I was only able to try this once, as I had an incredibly busy schedule in the year after my daughter was born, but it was brilliant. With these, you’re not using baby as a weight, but more as a balance when squatting or a resistance when running. One exercise that I found to be particularly cheeky was the reps of calf dips. With the beautiful beach backdrop, we stood on tiptoes at the edge of the pavement onto the stones and gently dipped up and down. It didn’t feel much then, but the next morning my calves were on fire! One added bonus is that you can set these groups up yourself for free if you have a bunch of mummies wanting to go with you, or they may already be set up local to you, so check on Facebook if you’re interested! Finally – and this one is not limited to mums/dads/parents/guardians – I just have to say how FANTASTIC the park run is! Seriously, go online (but open up a new tab and keep this one up and keep reading!) and Google where your nearest park run is <– or just use that cheeky little hyperlink I’ve stuck in there. My other half, being in the army, has been doing running for years and he is a seasoned pro, so although he leaves me far behind when I’m running with the pushchair, it’s a great, fun activity to do with the whole family. We even took my stepdaughter a couple of weeks ago and she loved it! You can race each other to make it fun, or take it at a leisurely pace, which I’ll be honest is what I have to do as it is a 5k course! 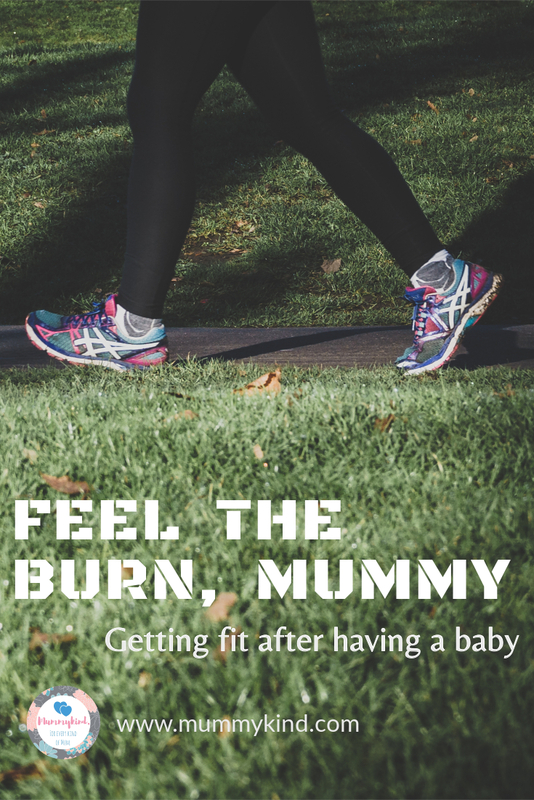 So mummies, those are my experiences of post birth fitness groups, and I hope to be sharing more in the coming weeks! If there’s anything you want to try but want a review of first, contact us and I will be more than happy to see if I can trial one in my area! Haha! That would be quite a hefty weight to lift at 17 years old! 😂 I’m now nearly 2 years post baby and my fitness regime is totally out of the window! Life happens and things get in the way, so don’t regret it just focus on moving forward! Thanks for commenting! Absolutely! Gives you the extra motivation doesn’t it? It can be so hard to find time! I’ve done barely any fitness since writing this post (not even park runs! 😭) but I’m on a mission now to dedicate some time to it again. It not only makes me feel fitter but I feel mentally better as well doing regular exercise! Oh god yes! I definitely felt the burn! I’ve never had the guts to try pole fitness but I’m so curious! While I wasn't in a rush to lose weight after my baby I did a couple of buggy fit classes at the park which I enjoyed but what I did more of was the couch to 5k nhs programme. I got a pram I could jog with and went jogging 3 times a week and slowly built up until I was running 5k in 28 mins which is slow but it was probably one of my more fitter periods. 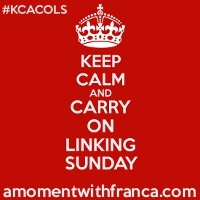 Thanks for linking up to #KCACOLS hope to see you back next week!